See Ted Kennedy in the picture above? That is me since my tooth surgery yesterday! I have that Ted Kennedy thing going on. Suddenly I have that Kennedy jaw! It has gotten a little better since I woke up but still. 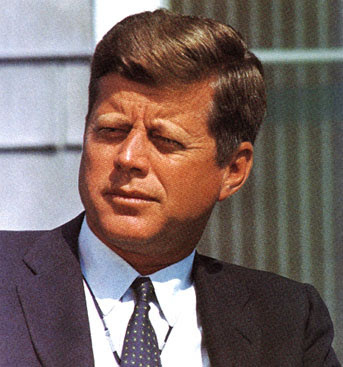 I have that JFK thing going on too. This all happened out in West Seneca where, not to gross anyone out, I was given a part of someone else's bone. The periodontist who was doing the surgery said it was freeze dried. "Who does it come from?" I asked when he took his fingers out of my mouth. He said: "From a donated cadaver." This is like Body Worlds! I did not have to go to Body Worlds at all as it turns out. Body Worlds has come to me! But I have to say, I do not mind the idea of this freeze-dried bit of someone else. If I use the phrase "every bone in my body" it now includes someone else's. That is something to think about. The perio's name is Howard which I like because men named Howard inspire confidence. They are salt of the earth, these Howards. Leonards are a whole different ball game as I learned with Leonard Pennario. You get tangled with them and you never know what will happen to you. 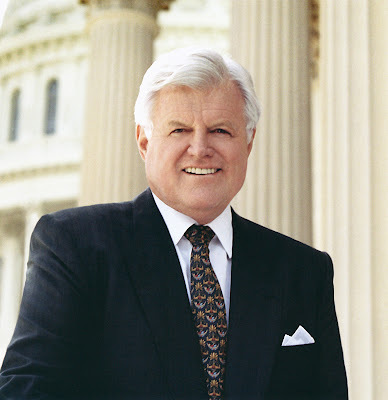 I knew I would look like Ted Kennedy and now I do! Oh my goodness, Mary! Best wishes for a full recovery.